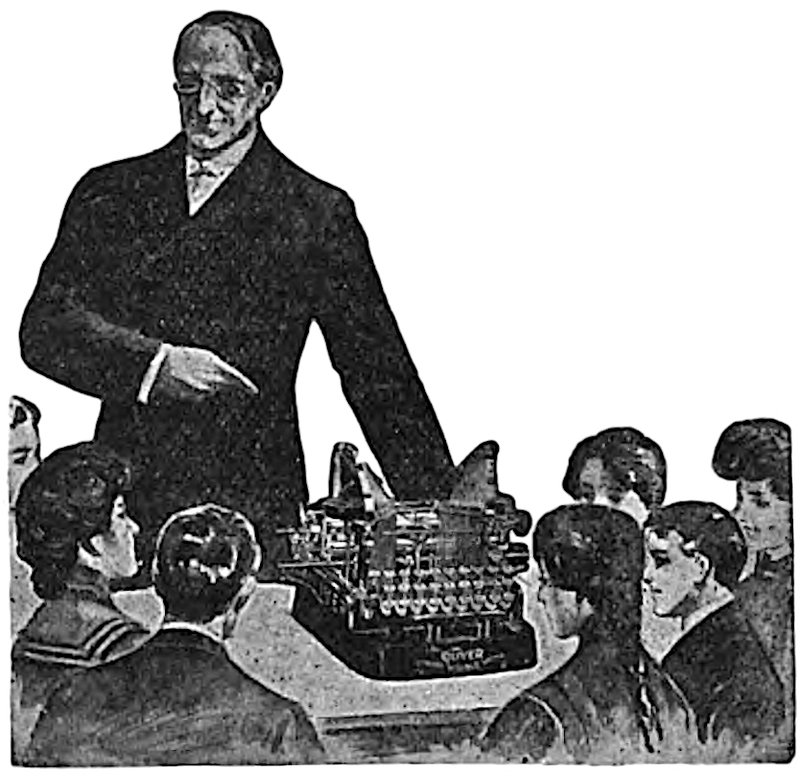 The School Journal wrote about the Oliver previously (Sept. 6, 1902), hailing it as an advancement in the typewriter industry. Do modifications make this Sun shine? There are two brands of typewriters that generally get the most attention from others are my Oliver and Hammond typewriters. I really like the design of the Oliver myself. Nice article — thanks for posting it. I hate to admit this then, but the Oliver does not rank high on my list of desirable typewriters, though it is growing on me. I love my Oliver for its uniqueness and independent solution, as Mr. Oliver himself discusses above. 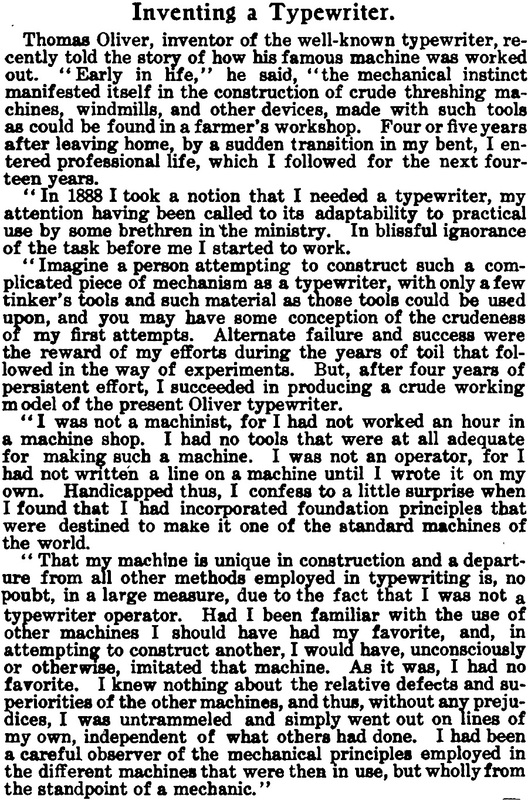 A fun example from the Wild West period of typewriter invention, As some one mentioned in ‘California Typewriter’. I also love it for the fun of using it, getting accustomed once again with its controls, and the way the type bars swing in and out from those Batman ears. Every collector must have one if only to engage the attention of their otherwise yawning friends who have already grown bored with the flip-up type bars of the Remington No. 2.